Dicker Data (ASX:DDR) has taken on the Australian distribution rights for the entire Dell EMC product portfolio. 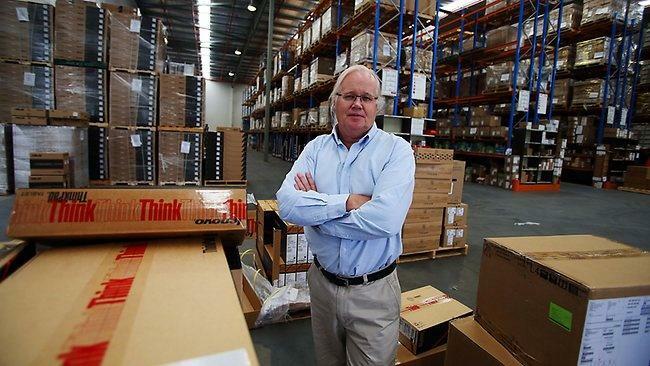 The Australian-listed distributor told shareholders on 19 May that it had been appointed as a distributor for the complete range the of Dell EMC products in the Australian market. The deal comes as little surprise, given that Dicker Data took on the entire Dell product portfolio in Australia mid-last year, six months prior to the completion of the global vendor’s US$67 billion acquisition of storage giant, EMC, which closed in September last year. The expanded deal, which was announced in July 2016, included PCs, notebooks, monitors, servers, storage, networking and more. The revamped arrangement followed an earlier move by Dell to expand the breadth of products available to its distributors in Australia, following strong channel growth across the country. However, the latest arrangement extends the existing distribution agreement between the Australian distributor and Dell even further, and includes the full EMC storage range of the new combined entity, Dell EMC. “After an extraordinarily successful year working together, it was a natural evolution to add the storage product range to this partnership,” Dell EMC Australia and New Zealand general manager, Geoff Wright, said. “We look forward to continuing the growth of the relationship with Dicker Data and [its] reseller partners into the future,” he said. According to Dicker Data CEO, David Dicker, the company’s reseller partners have already responded positively to the addition of the Dell range to the business and, since announcing the partnership in 2016, it has grown to represent a sizeable portion of Dell EMC’s portfolio of client, server and networking products in the Australian market. “We’re particularly pleased to be expanding to include the full range of Dell EMC storage products to our existing Dicker Data vendor portfolio,” Dicker said. “The expansion to include Dell EMC storage further bolsters our position as a true hybrid distributor for the mid-market and enterprise reseller communities,” he said. The extension of the distribution agreement between the two companies in 2016 followed a successful stint selling Dell thin clients and monitor ranges, having first struck up a deal in 2014 amidst the distributor’s acquisition of Express Data.